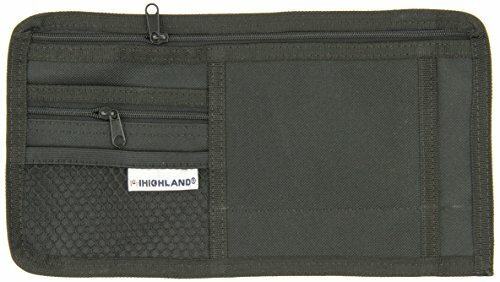 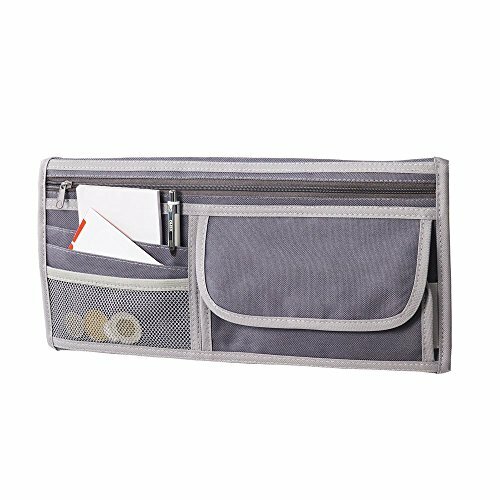 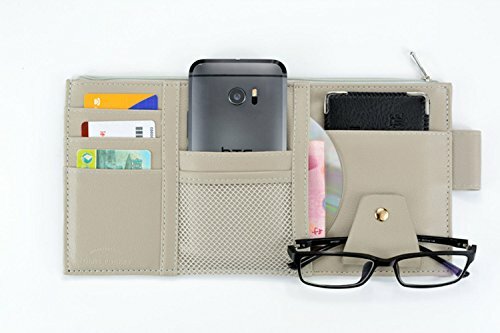 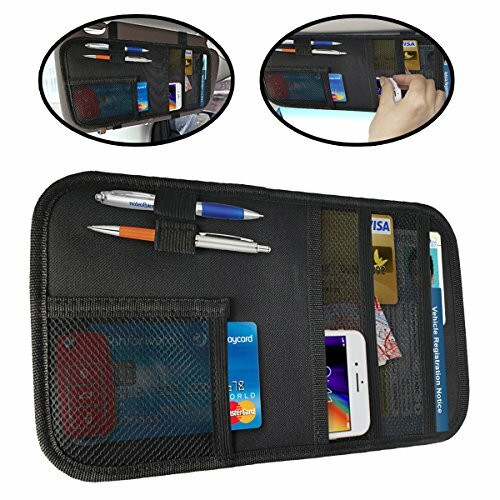 Highlands On the Go Visor Organizer keeps routine travel items organized and accessible on your visor. 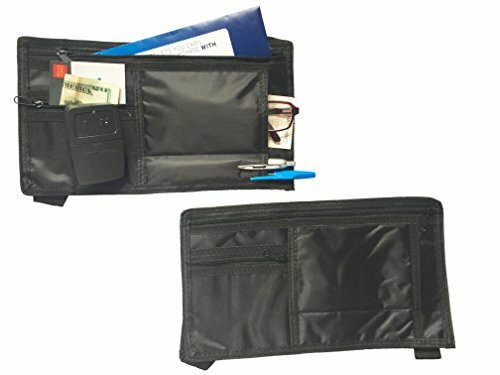 Also has a protective pocket for sunglasses, cell phone or MP3 player. 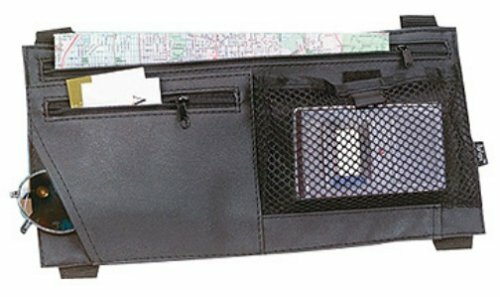 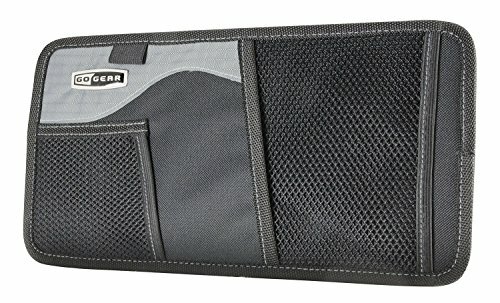 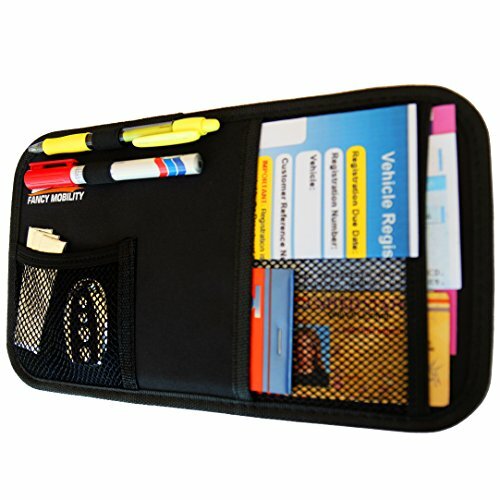 Safely store, view and protect driver essentials within easy reach in a 5-pocket visor organizer. 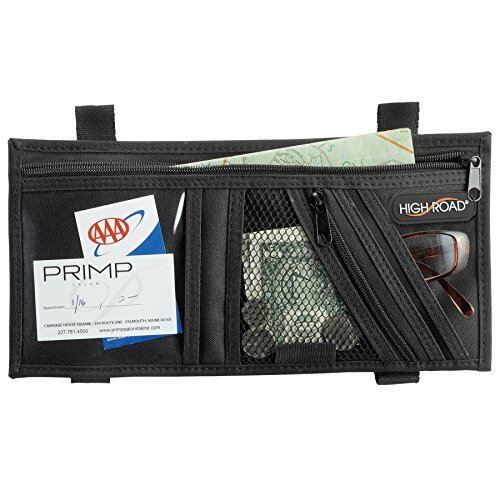 High Road has the largest selection of interior car accessories for efficient car organization. 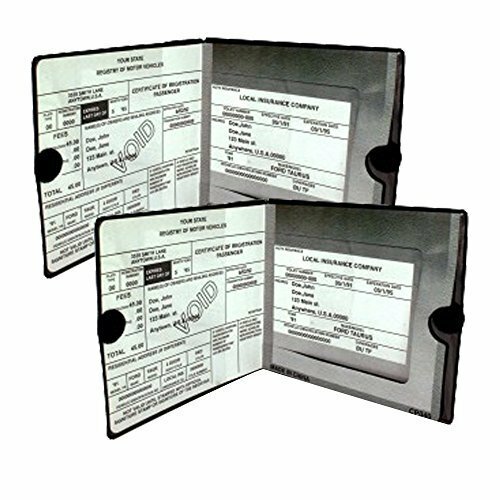 We design and develop our products from our offices in Portland, Maine.